The city of Jacksonville is the latest to be added to a list of U.S. cities reeling from violence after two people were shot and killed and 13 people injured at a national video gaming tournament at a riverside mall in downtown Jacksonville on Sunday, August 26 2018. The event comes less than 48 hours after a shooting at a Jacksonville high school football game left one person dead and two additional people injured. 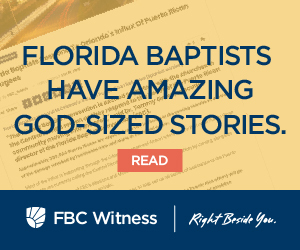 As shock and sadness filter through the city, Florida Baptists have been burdened to seek the Lord and His will for the area. Tommy Green, executive director-treasurer of the Florida Baptist Convention, said that it’s time for us as the people of God to pray for peace in our city, citing Jeremiah 29:7. The Jacksonville Baptist Association has also coordinated prayer rallies for Tuesday morning at several churches throughout the city. First Baptist Church in Orange Park will be one of those host locations. 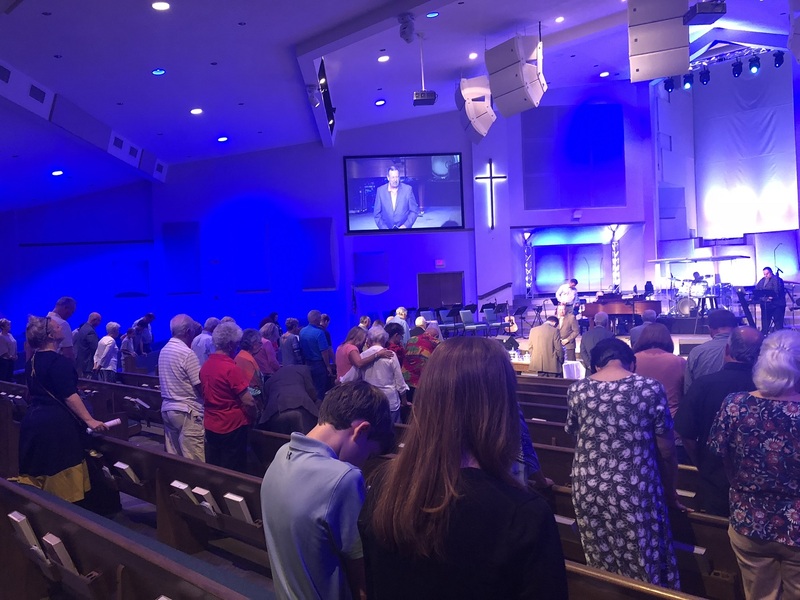 David Tarkington, lead pastor of First Baptist, said the call to prayer for the city of Jacksonville has to become more than just a hashtag. The rallies – called ASK (Ask, Seek, Knock) Prayer Gatherings – hope to encourage the people of Jacksonville to “pray for healing and renewal in our homes and communities” according to an email from the Association. Craig Culbreth, FBC Catalyst for east Florida, hopes the churches in the area will take this opportunity to point people to Jesus. For more on the ASK prayer gatherings taking place August 28, visit the Jacksonville Baptist Association’s Facebook page here.